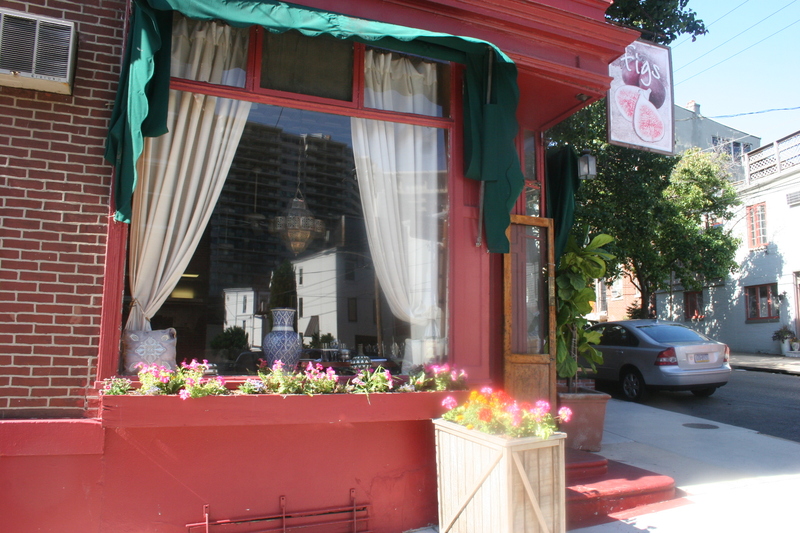 Due to a camera malfunction there are no pictures of what was a very nice dining experience this past Saturday evening at Figs Restaurant in the Fairmount section of Philly (2501 Meredith Street). The occasion was a combination belated birthday for myself and a wedding anniversary celebration for our good friends, Gerry and Joann. I had actually thought that Gerry and Joann had been to Figs with my wife, Kathy, and I a few years ago but I was incorrect. They were not familiar with this Mediterranean/Moroccan influenced BYOB. The menu has some interesting and unique choices and all four of us were able to find more than a few items that tempted out taste buds. Kathy started with a Hummus and Applewood Smoked Salmon Pizza, something you don’t find nightly at your local pizza joint. She liked it a lot. I tasted a slice and it was very good. I had the Pepper-crusted Scallops with tomatoes in a tangy sauce. The scallops were cooked perfectly and the sauce was an unexpected treat. All of the sauces were unusual and tasty and that is part of what makes trying entrees from different cultures a rewarding experience. Gerry ordered the Steamed Mussels, Moroccan-style with Charmoula, Moroccan pesto and roasted tomatoes. He thoroughly enjoyed the mussels and everyone ended up dipping bread in the sauce. Joann was perhaps the most daring member of our culinary quartet as she chose the Mediterranean Tapas Platter, consisting of fish salad, Baba Ghanoush and Stuffed Grape Leaves served with grilled flat bread. Baba Ghanoush is a dish made from roasted eggplant. I did not know that at the time and I didn’t sample any. I have long been the leader of the infamous anti-eggplant coalition. I realize I am in the minority but, what can I say. Both Kathy and Joann selected the Angel Hair Pasta Greek Style with feta cheese, roasted Roma tomatoes, Kalamata olives and garlic infused oil. Kathy had hers with Chicken, Joann added the shrimp. Both ladies loved their entrees. Kathy brought home half of hers and I enjoyed it two nights later. Excellent and plenty of chicken, too. I actually can’t remember what Gerry ordered. I do know he liked it and I also know I will have an email from him tomorrow telling me what he ordered and commenting on my inability to remember much of anything. I do know what I had because it was delicious. It was the Oven-roasted Swordfish served with a date-barbecue sauce that was a wonderful accompaniment to the flaky fish. The swordfish was topped with spinach and rested on a yummy bed of vanilla rice. Really a unique and flavorful entree. Was there any wine you ask? Absolutely! 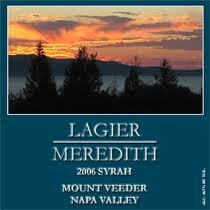 I thought everyone would love the 2007 Lagier-Meredith, Mt. Veeder, Syrah. 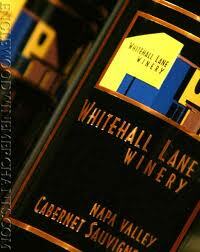 I thought it was the best of the three but the others were more impressed with the 2007 Whitehall Lane, Napa Valley Cabernet Sauvignon. I can’t make too much of an argument since it was also very good. 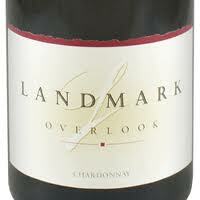 There was no debate on the 2009, Landmark, Overlook, Chardonnay. The four of us loved the creamy toasted pear and vanilla notes of this flavorful chardonnay. I think both Gerry and Joann were a little apprehensive when I chose Figs for our dinner. I also think they left hoping to some day return to this excellent BYOB not far from the Art Museum in Philly.